Want success as an entrepreneur? In fact, it takes a formula if you want to know the truth. Plus, you have to promise not to do things that will sabotage you along the way. Don’t laugh. Sometimes people are actually fearful of success, because they are more comfortable with the struggle, so they do things that will set themselves back. It’s not that they consciously do these things; usually it’s quite the contrary. That’s why we must be incredibly mindful of our thoughts… because thoughts become actions, which bring about a specific outcome. If we allow that self-sabotaging inner voice to take hold, well, watch out! 1. KNOW YOUR WHY. When you’re starting out doing anything, this is the biggie. For me it’s real estate investing; for you it could be the same or it could be literally anything you’re trying to achieve as an entrepreneur. But do you know WHY you want to be in this whatever you’re doing so much? This is critical. You have to know WHY you are doing what you’re doing so you can get other people on board with your vision and goals. (Because you will need other people.) Once you can get your reasons WHY down to a couple of sentence, you’ll be way ahead of the game! Then you can take that “elevator pitch” with you wherever you go. When someone asks you what you do, you have the answer and the WHY to go with it. 2. SET GOOD GOALS. This may seem like a no-brainer, but you’d be surprised by just how many people do not set goals. They don’t use to-do lists, they don’t set daily goals, they don’t set monthly goals and they surely do not set goals for a year or five years into the future. Truly successful entrepreneurs and business owners, on the other hand, tend to set goals… all types of goals… and they know how to set goals in very small increments of time so they can feel very accomplished at the end of each day. This does something to the chemistry in the brain. It is a positive exercise. And it’s something I’ve talked about before many times. 3. FIND A MENTOR. No one gets to success on their own. For now I’m not asking you to put a team together … though you will do that one day, because you can’t keep wearing all the hats yourself. (They get heavy.) At this time, especially if you’re just starting on your entrepreneurial path, you need to find one or more good mentors. These people will answer your questions and show you that you are not alone. You can find mentorship in groups of likeminded individuals. Take our private Facebook group, for example. There’s a whole lot of mentoring going on in there. 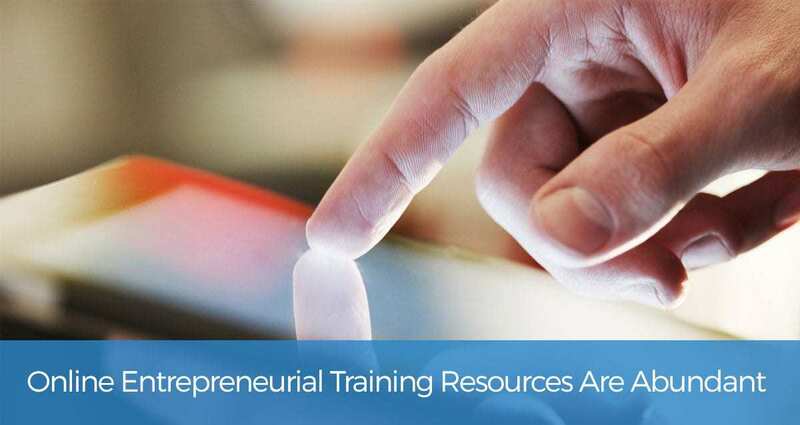 Newbies and seasoned entrepreneurs alike can find support and answers. I’m a mentor to a lot of people; plus I have mentors. Yes, I STILL have mentors. I will always have mentors, as should you! 4. TAKE THE RIGHT EDUCATION. You must have known I’d throw this one in, but it is absolutely the truth. Where would I be had I not taken the right education and then practiced what I’d been taught? Listen, it wasn’t quite a decade ago when I took my first real estate investing class. Yes, I embraced the information, and I had plenty of reason to take it seriously. I had no other course of action. If you know my story you also know I couldn’t scrape 75 bucks together to even pay for a piece of education. I couldn’t buy groceries. Heck, I had a hard time buying diapers for my new baby at that time. I am forever grateful to a mentor who I am friends with still today who nudged me not ever-so-gently to make a choice and take the path I did in real estate investing and entrepreneurship. It ended up being the BEST decision I had made in a good long while. Maybe it’s your turn now. We have so much to offer you in regard to real estate investing and entrepreneurial training on this site that I won’t even choose a course to pitch you right now. I would strongly suggest you go browse our products page at www.cashflowdiary.com/products. 5. TAKE ACTION STEPS.You can’t learn to ride a bike at a seminar. There’s a book out with a similar title. The point is that in order for you to truly learn you need to do. That means risking looking silly for a short time, risk making mistakes, risk saying the wrong things and having to do things a few times before getting it right. When it comes to this, I was the king of making mistakes. 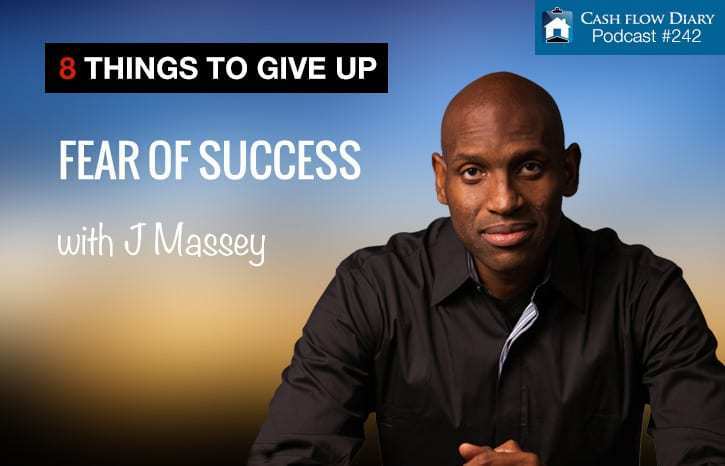 When I first got into real estate investing, I made plenty of mistakes, but I didn’t let that stop me. I fell down and got back up. I fell down again and got back up again. That’s what an entrepreneur does until he/she understands all the steps and implements them the right way each time. This is something I’ve talked about so many times that I’ve lost count. If you haven’t read my book, the stories of trial and error are in its pages. If you are new to my podcast, go back as far as you can to listen to all the personal episodes where I share my innermost stories about my journey. Grab my free downloads, read my articles and watch my videos on YouTube. Oh, and follow me online everywhere. I am getting back into livestreaming, so you will want to keep an eye and ear out. It’s a great way to avoid the mistakes I’ve made and follow my success blueprints instead!! Talk about a blueprint for success, here’s something you’ll want to grab. It’s a course that teaches you to do what I am doing that is phenomenally successful for me. Talk about a way to create massive cashflow… THIS IS A GREAT WAY TO DO IT! !